Which means good luck, good health and happiness bestow this Lunar New Year. Chinese New Year is an occasion to start off a year of good deeds and fortune. 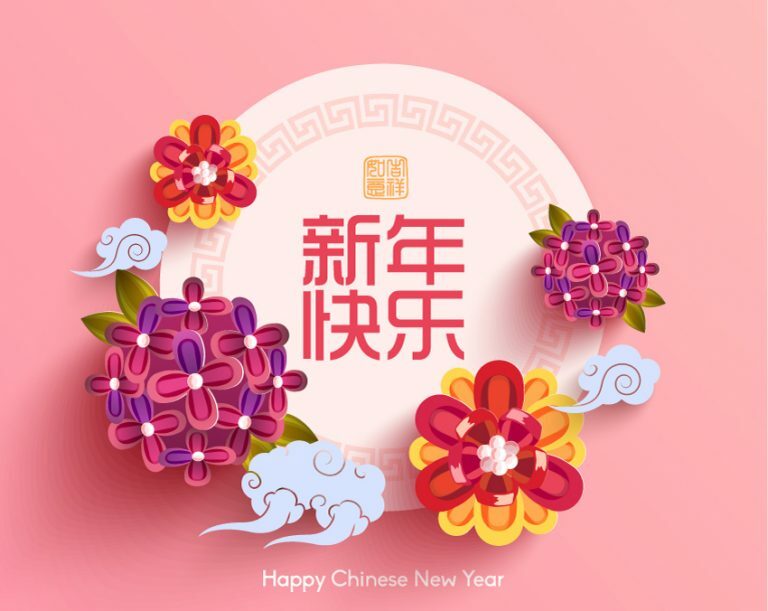 In 2019, Chinese New Year (CNY) falls on 5th February, and we are excited to celebrate one of the most important celebrations here at Compass One. There are a few must-haves when it comes to Chinese New Year festival which you should get. “Reunion Dinner” is usually held on New Year’s Eve where the whole families will gather together for dinner. This event is of sociological significance as it is a means to ensure the solidarity of the family and its cohesiveness. No worries if you are unable to book a table this year as you can consider is Reunion Take Away Set Menu from Soup Restaurant (#03-12) this year. In this set menu, there are 4 items including a rice dish, Yusheng, Pencai and Samsui Ginger Chicken which is good for 5 pax (U.P. $338). 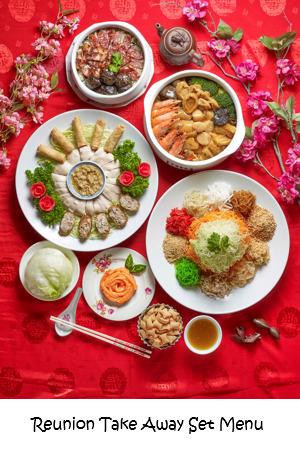 Loving the combination in this set menu as it has their signature dishes and must-have CNY dishes that signifies abundance. Here’s a good news for our Compass One shoppers! Soup restaurant will be offering $10 off in your Reunion Take Away Set Menu by quoting <SOUPCNY2018> upon ordering to enjoy the discount. During Chinese New Year, traditional snacks are absolutely inevitable and Bakkwa is one of the snacks that is worth the calories. 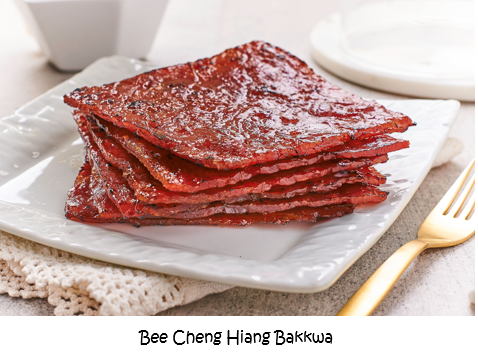 Bee Cheng Hiang (#B1-26) Sliced Pork Bakkwa which boasts the highest quality of barbecued meat hand-weaved using a traditional bamboo sieve, grilled over live coal to a smoky caramelization that seals the moisture in the succulent meat. It is richly flavoured by their special marinade with no added preservatives, no added meat tenderizer, artificial colouring, flavouring & MSG. Bee Cheng Hiang Bakkwa is so addictive that it leaves a lingering savouriness on your palate and a craving for more in your mind. In addition to visiting and snacking, exchanging gifts and red envelopes with cash, called 红包 (hóng bāo) is one of the few popular CNY customs. This year, SK Jewellery has launched Looney Tunes 999 Pure Gold and Diamond collection. 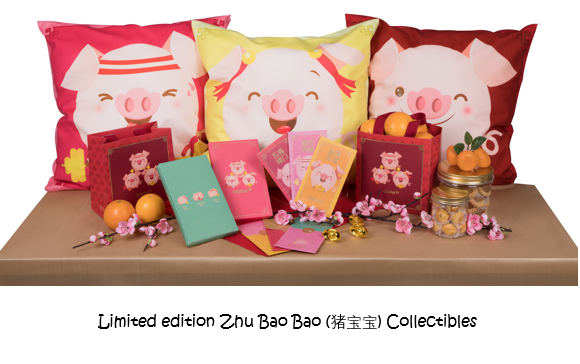 Hence, SK Jewellery (#01-42) is introducing 999 Pure Gold Porky Pig Collectibles to welcome the year of the Pig. These Lunar gold bars are ideal for gifting and for celebrating the good fortune associated with CNY. What’s a better way to pamper your loved ones, especially after the spring cleaning? A massage chair that addresses all your problem area and kneads that knot away. Daily massages do help in reducing stress, keeping skin youthful, and improving immunity. So start improving your quality life and get the best massage chairs, foot massagers and other more at OSIM (#B1-21). If you spend a minimum of $50 at any Compass One shops, you will be entitled for a lucky spin to win limited edition Zhu Bao Bao (猪宝宝) Collectibles from OSIM. It is valid from 14 Jan – 17 Feb, while stocks lasts.